The decision of the Appeals Court was not unanimous and the dissent raised questions about the boundaries of the "de facto parent" definition and standard. However, the majority decision afforded great deference to a trial judge to discern the best interest of the child. The best interest of the child was ultimately seen by the majority opinion as outweighing the rights of the biological parent. While there is no specific statutory authority awarding legal rights to a de facto parent, the Appeals Court noted that the Probate Court has authority under their equity powers of General Laws c. 215, § 6. In E.N.O. v. L.L.M. the lower court used that equity power to award temporary visitation to the de facto parent, and the Appeals Court affirmed. Because the de facto parent's rights are created by the equity powers of the court and not by statute, the boundaries of the relationship are defined by the court in each individual case. A de facto parent does not have the same legal rights and obligations as other legally recognized parental roles, but can have some of those rights. In E.N.O. v. L.L.M. the court addressed visitation rights but did not address custody. Recently, a trial court extended joint custody rights to a de facto parent in Partanen v. Gallagher. For an in depth analysis of that case read this article by Brandon Gee. Critics of the Partanen decision fear that the court is eroding the rights of the legal parent by extending de facto parent rights. Because these cases are very fact specific it is very difficult to predict how a judge will determine and weigh the best interest of the child. Sometimes that's good news in a case because it gives the parties a reason to mediate rather than take their chances with a judge and/or an appellate panel, especially when the risk involved is as personal as time with your child. It is also good reason for parties to define their legal parenting relationships before a dispute arises. 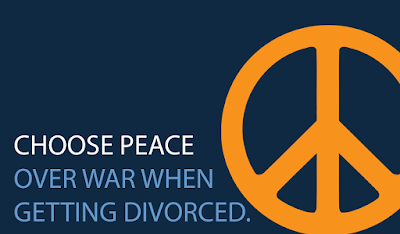 For more information about mediation click here.